One of the services that we offer at our properties is our after school program for youth. This program has a social emotional learning emphasis, so many of our projects and activities are based around that model. As a volunteer you will be assisting in setting up activities, helping with snack, and being a mentor/role model figure to them. You will mean more to them than you know! Availability is flexible based on volunteer's schedule. 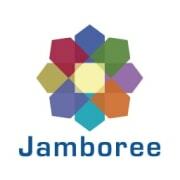 Jamboree Housing is a non-profit housing developer delivering high quality affordable housing and services. Our properties offer various services to our residents including after school, adult and senior programs. Make a difference in someone's life today! Volunteering is a great way to help Jamboree help others. Time donated by Jamboree volunteers furthers our mission to strengthen communities and transform lives.